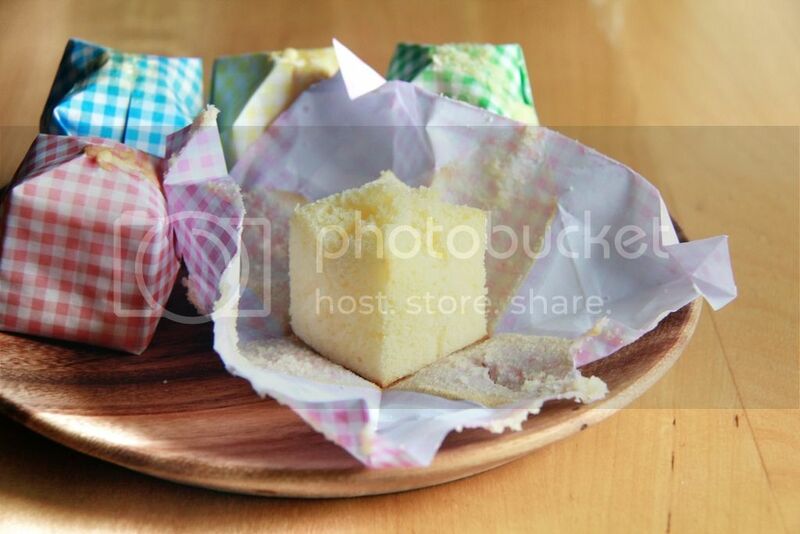 Crumbs and Cookies: origami paper balloon cheesecakes. I was browsing through YouTube recently and I found the most amazing Japanese baking/cooking channel and the cutest idea I've seen in a while - these! 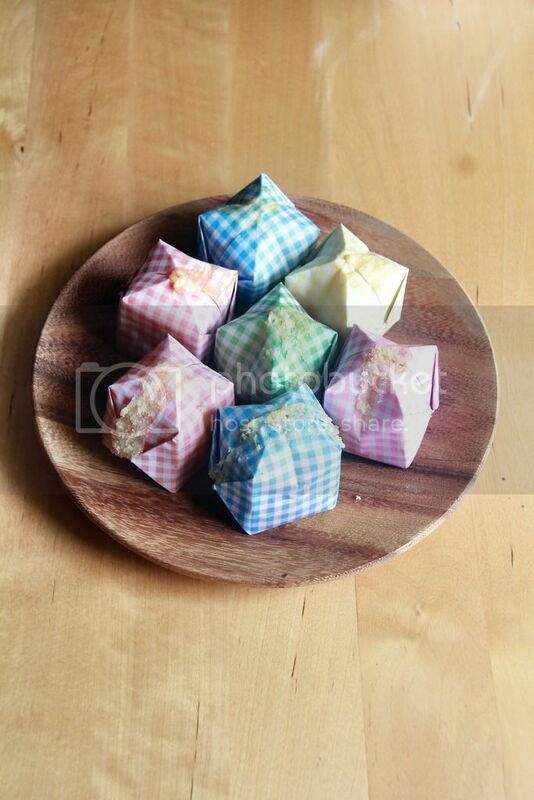 You bake the cheesecake batter in the origami paper balloons so not do you only have your cheesecakes already wrapped and ready for gifting, the cheesecakes emerge as adorable little cubes which I find utterly irresistible. 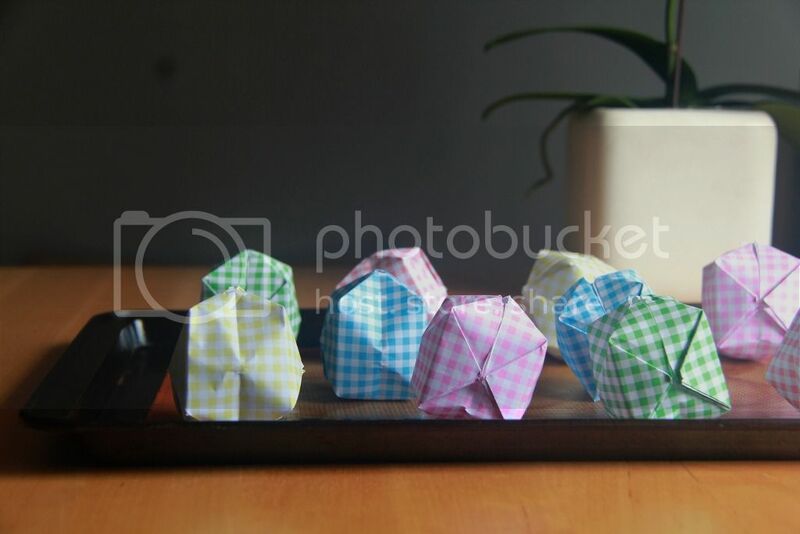 The recipe is really simple and folding the paper balloons is a snap. The only thing that may prove a little tricky is knowing how much batter you should pipe into each paper balloon. If you pipe in more than you're supposed to, the batter would most certainly overflow and ruin the whole surprise as to what's inside. Kinda reminds me of what happened to my easter eggs a couple of years ago. Another thing you should take note of is to get your batter as smooth as possible - sift the flour, don't be lazy! Because the holes of the paper balloons are so tiny, you'd have to use an equally small piping tip which is extremely prone to being jammed by lumps of flour. Even if your piping bag doesn't explode when you squeeze it while the tip is completely blocked, having to constantly clear the pathway with a toothpick can be very very very annoying. Honestly speaking, the cheesecakes aren't that much to wow at but I thought that I should follow the recipe given since it was my first time making these. I was afraid that if I were to use a different sort of batter that may be too liquid-y the paper balloons might not hold up or something. Now that I have an idea of what consistency the batter should be I'll definitely experiment with a different cake batter the next time! Preheat oven to 325F. 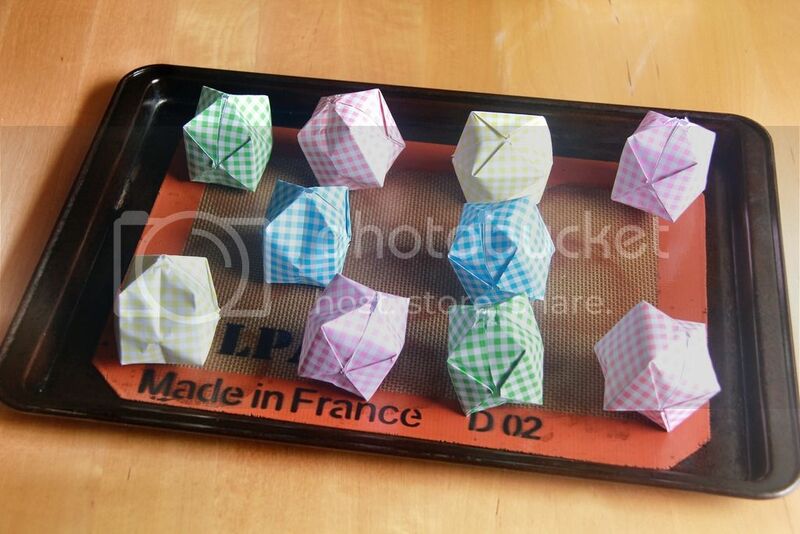 Place the paper balloons on a lined baking sheet. Beat the cream cheese until smooth. Stir in the sugar in two additions. Beat in the egg in two additions. Stir in the milk and cream. Stir in the flour mixture in two additions. Add the melted butter. Transfer batter into a piping bag fitted with a small round piping tip. Pipe batter into paper balloons. Each balloon will contain roughly 35g of batter. Wow, this is certainly a very unique way of baking cheese cake. Very creative and for sure will wow many receivers of the cake. I will try to buy the papers and use your recipe. 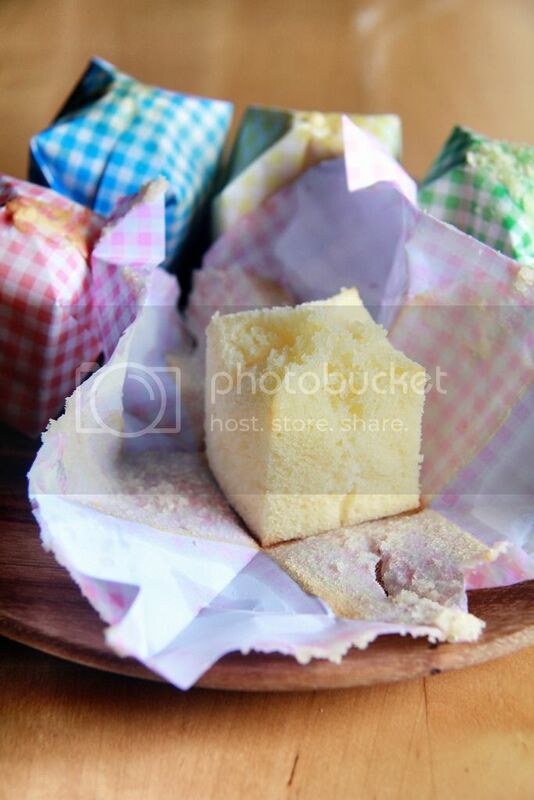 I was also thinking about using my signature chiffon cake recipe with this balloon method. Anyway, thank you Amanda for sharing this special recipe and method. What cute little bite sized treats! I definitely need to get my hands on those little paper balloons. Your Origami Balloon Cake are absolutely perfect for any event. Great tutorial! Thank you for sharing with the Clever Chicks Blog Hop! I hope you’ll join us again next week! kinako dark chocolate sugar cookies.